Are you looking for a unique piece of furniture to create a statement in your home? Perhaps you need wooden decking for your garden? Or maybe you need made-to-measure furniture for a bedroom or extension? 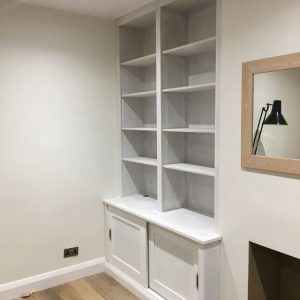 With 30 years’ experience, John Joyce works with homeowners and businesses in Surbiton and the surrounding areas to provide high quality bespoke joinery. 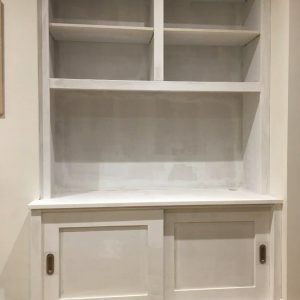 He specialises in a providing a service that runs from start to finish, creating a beautiful range of products, including custom fitted wardrobes, alcove units, display cabinets, bespoke shelving, doors and windows, media units, log cabins and decking. 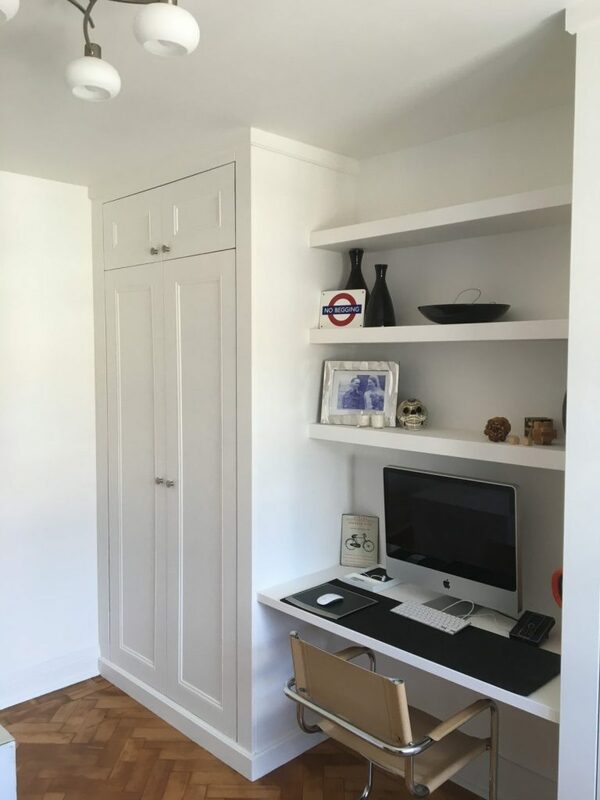 Whether you are looking for a carefully-crafted wardrobes for a new extension project, or a garden cabin for rest and relaxation purposes, we have the expertise to match your requirements. We can guarantee that we will work closely with you to ensure that we create your order to your exact specifications. 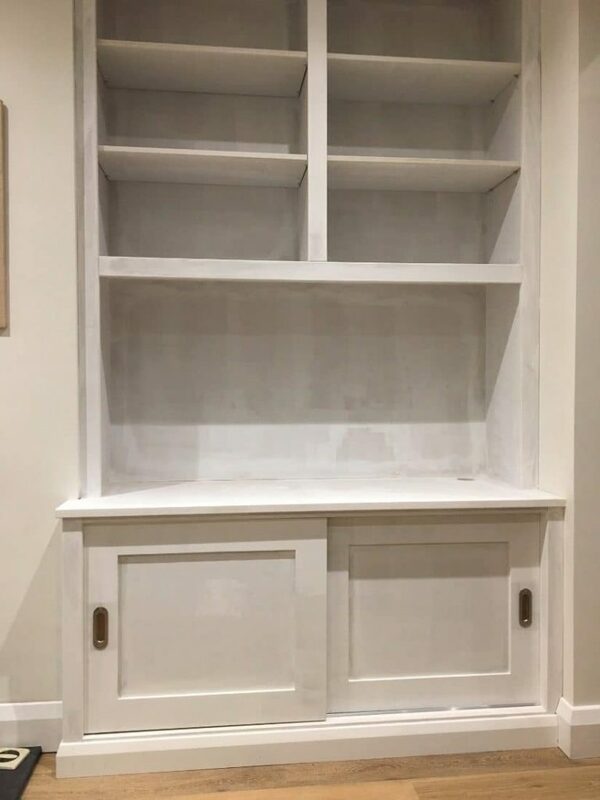 John learnt his trade as an apprentice in 1988 with a large construction company’s joinery department, where he learnt his trade working on jobs at locations such as The Natural History Museum, The Tower of London and Asprey’s of Bond Street. In 2003, he set up Joyce Carpentry and he is proud of the reputation he has locally for providing stunning furniture and carpentry projects. All our work is undertaken with a free consultation and quote, where we can talk through exactly what you want, your budget and the best options. We are always happy to offer advice too, so you can create the vision you want. If you want your furniture and fittings to be unique to you, why not call John today? We can be reached on 07930 442 920. 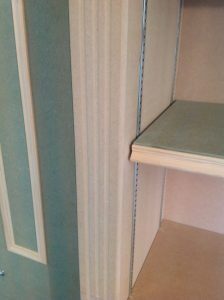 Why choose our specialist carpentry company for your bespoke wardrobes or made to measure furniture? Bespoke and made to measure furniture pieces are timeless and elegant and often made to suit a particular space or style. 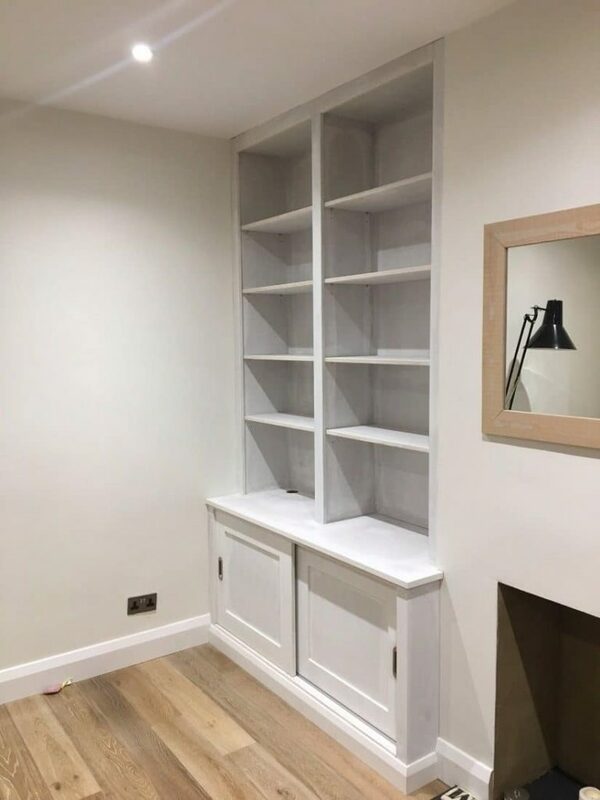 From bookcases to dressers, and alcove units to log cabins, we have the skills to design and build specialist commissions for free-standing and built-in and made-to-measure furniture. 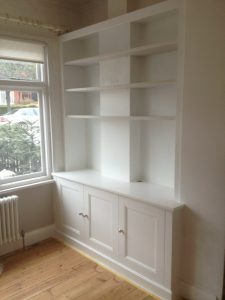 Built in cupboard and shelving for living room. 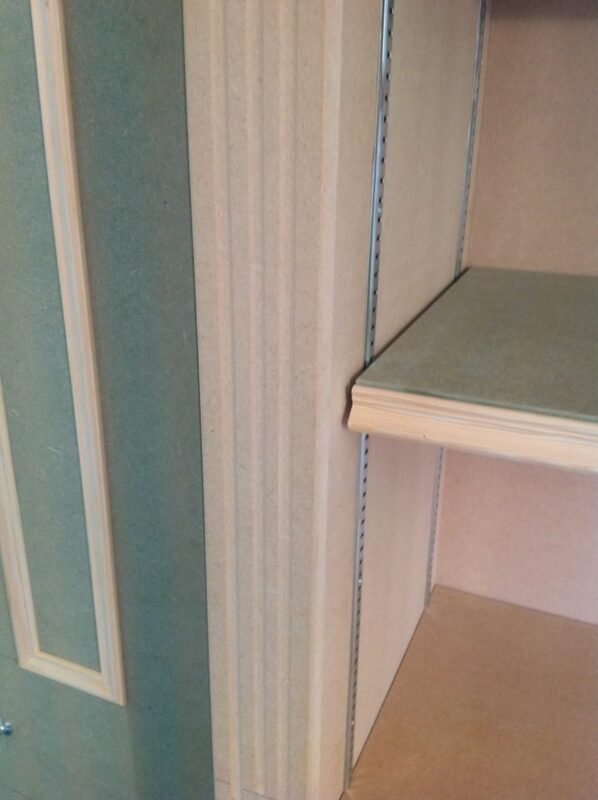 John is a true professional and his standard of carpentry is fantastic. He is always helpful, and the quality of his work is great. 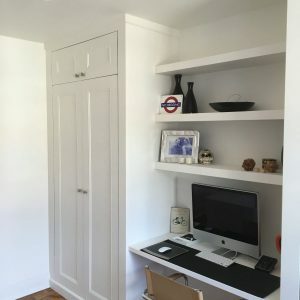 I have used John for other jobs in the past to create wardrobes, shelving and his work is always carried out to high standards and completed in a clean, tidy and professional manner. Reliable, good value for money and high quality finish – I definitely recommend John for any carpentry work. Whether you want a space to enjoy your garden or entertain your guests or a beautiful log cabin, we are here to help! We pride ourselves on our expert workmanship and friendly, efficient customer service. For a high quality service at competitive prices, please call John today on 07930 442 920. Alternatively, you can fill out an online form and John will give you a call back.